I haven’t blogged in a long while. Six months to be exact. I think it’s about time that I returned, hopefully with a happier vengeance. The golden year seems to have gotten off to a challenging start. Mother was confined in the hospital on the second day of the year, and all hell broke loose in several households. She’s fine now, and back in the harness but when the queen mum falls ill, everyone in her court follows suit shortly. And that’s how it was for me today, the 6th of January 2014. I woke up burning with fever, body aches and pains from every joint you can name, terribly congested, and squawking like a duck. I pledged to myself that the next twelve hours from the moment I awoke would be stewed in positivity and happy! peaceful thoughts. And that I did. I kept still. I slept as much as I could, immersed myself in reading about kindness, fed my body with every organic food and fruit I could find in my cupboards. Drank up mugs and mugs of warm, soothing salabat (Ginger tea) generously laced with honey from the Bohol Bee farm; chugged a liter of lemon water. Loved myself. Cocooned quietly in my loft and simply cared for me. At 6pm tonight I got my voice back, the fever is gone, only a mild congestion remains. Perhaps this was also the Father’s way of keeping me still, of purging me from the sadness and whatever toxins remained from negative energy that I had unknowingly absorbed. I will choose to think of it that way. 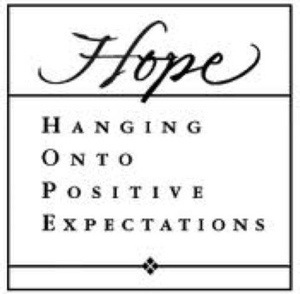 Earlier, I had said that my word for the year was HOPE, and this experience of being down momentarily reminds me of the Bible passage from Isaiah 40:31but those who hope in the LORD will renew their strength. They will soar on wings like eagles; they will run and not grow weary, they will walk and not be faint. which a sister in Christ shared with me yesterday. That is what I did today, and what I perhaps must consciously choose to do for each day of this new year. All those who have long received, let them give. All those who have long given, let them receive. All those too long apart, let them come together. All those too long together, sunder them. And let the fools speak their minds. Affirm the long denied, Lord. By His amazing, unending grace, I’m ready for you 2014 🙂 I’m hopeful, I’m blogging, and yes, I’m back!